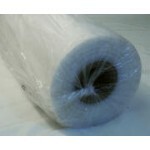 Polythene Layflat / Lay Flat Tubing Rolls for wrapping carpets or to cover and protect numerous other tubular products. Polythene Tube on a roll or Layflat tubing is ideal for numerous applications & is exactly what it says – soft plastic tubing that is flat on a roll. Simply pull off the length you want, cut it off – open one end and slide your product in, the tubing will open up as you push the item in..! For bulk orders please call us on 02476 422000 to discuss your requirements. We ship throughout the UK and Europe. Smaller quantities can be purchased below. If you cannot see the size layflat tubing you require, just give us a call and we will be more than happy to help, as we can supply the layflat tubing in most diameters up to 48 inches.